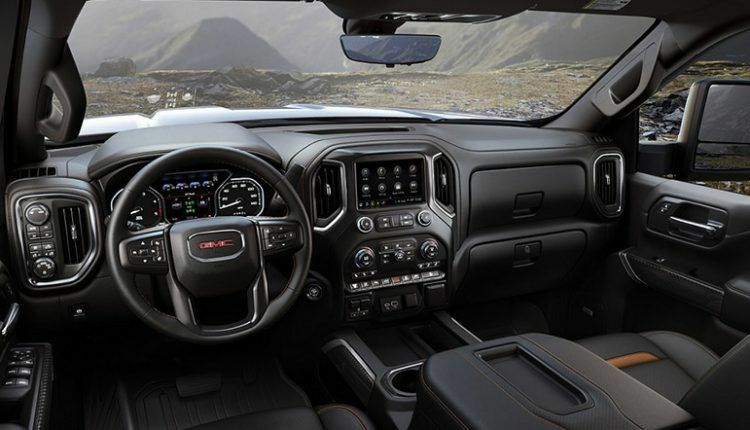 The American automaker has introduced the next generation 2020 GMC Sierra Heavy Duty pickups alongside an all-new AT4 version taking design cues from the upgrades made last year. The heavy-duty trucks feature the MultiPro six-function tailgate, rear-camera mirror, and ProGrade Trailering system. 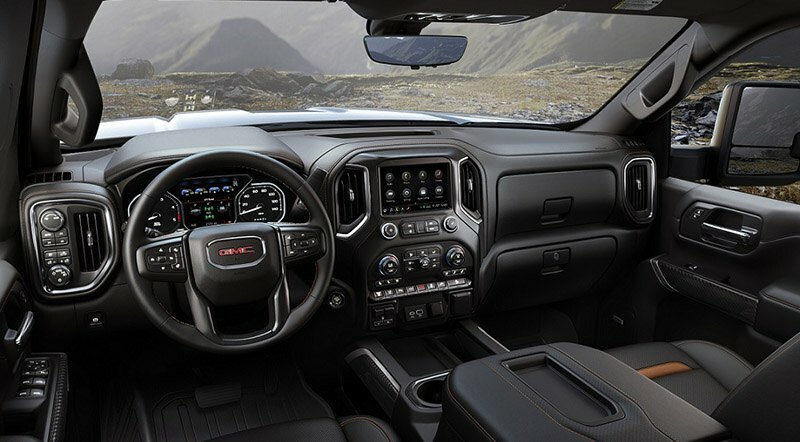 All these features are borrowed from the redesigned flagship Sierra 1500 light-duty pickup introduced last year. 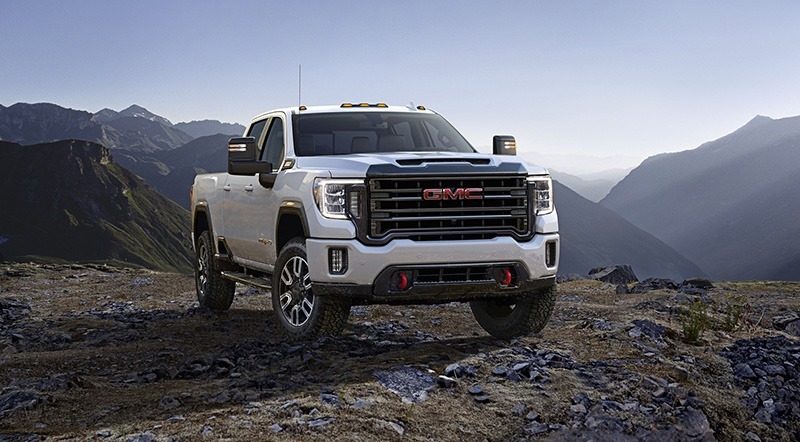 GMC AT4 off-roading brand brings the all-new Sierra AT4 Heavy Duty in crew cab configurations. 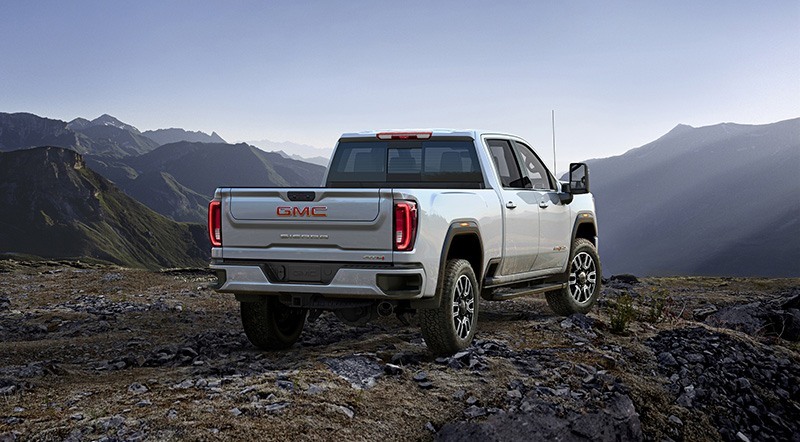 The 2020 GMC Sierra Heavy Duty is taller and longer than the previous generation models. 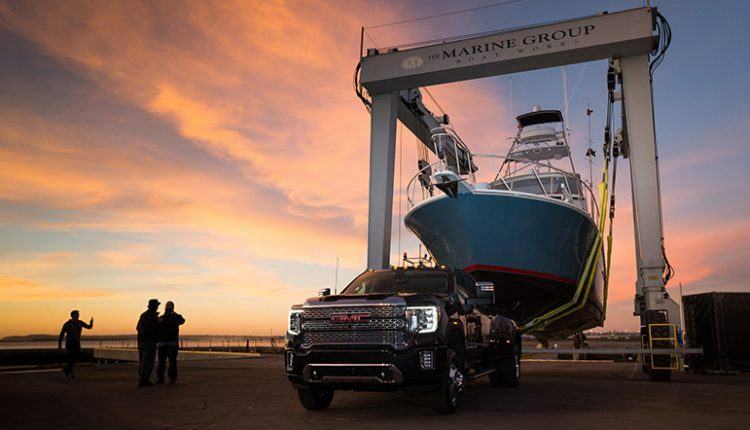 The truck is powered by a 6.6-liter Duramax turbo-diesel cranking 445 hp and 910 pound-feet of torque. The engine is paired with an all-new 10-speed Allison automatic transmission. Thanks to the larger frame and more powerful engine, the Sierra HD can tow over 30,000 pounds. GMC demonstrated the towing prowess by pulling an 80-foot yacht weighing 225,000 pounds with the aid of a fifth-wheel hitch. Inside, the automaker has made it roomier than before. The headroom, legroom and seating height all got better. The Denali gets exclusive leather seats, open-pore wood accents, and dark-finish aluminum trim. polished in body color, and dark & textured aluminum textures on the steering wheel, center stack and sill plates. Moreover, the Sierra AT4 Heavy Duty boasts an off-road suspension, Rancho shocks, skid plates, Eaton locking rear-differential and regular 18-inch wheels with Michelin all-terrain tires. The 2020 GMC Sierra Heavy Duty will go on sale this summer competing against the likes of Super Duty F-250 and F-350, and new Ram 2500 and 3500 Heavy Duty. The pricing details are unknown. However, we know the 2018 2500 Crew Cab starts at AED 202,000.